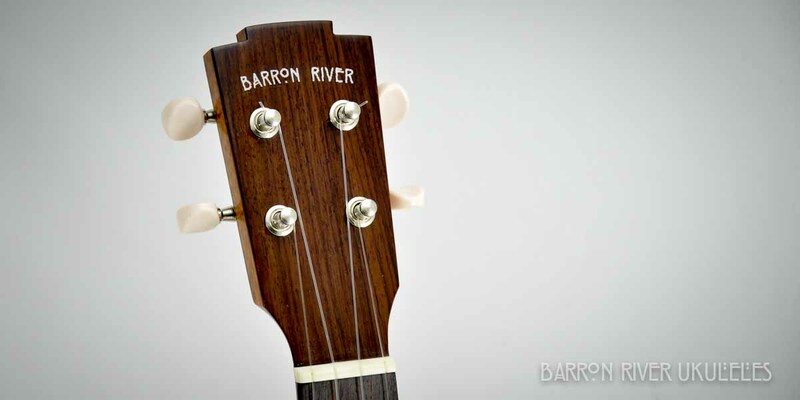 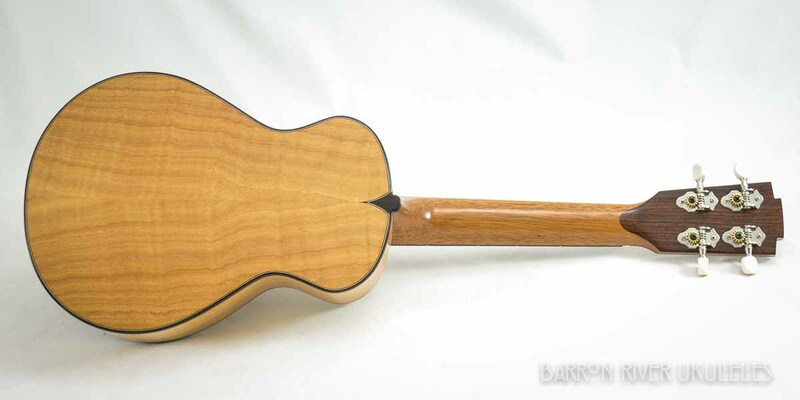 Monterey Cypress body with Indian Rosewood fret board and bindings. 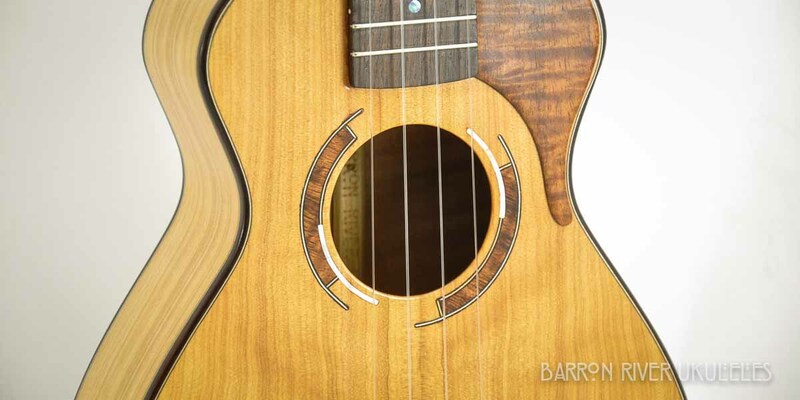 Koa rosette and scratch plate. 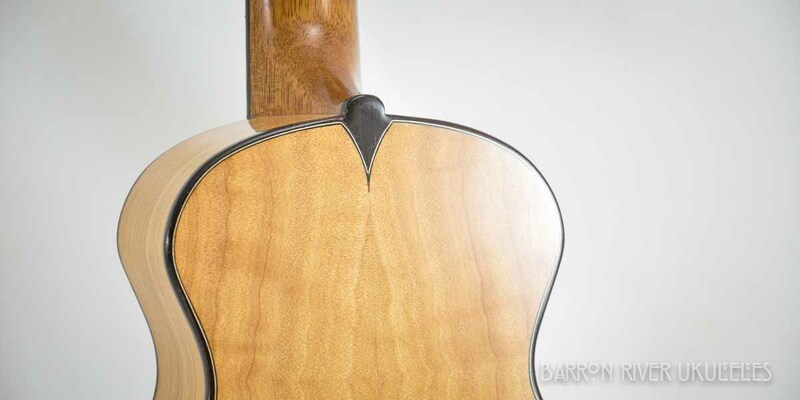 Medium gloss lacquer finish. 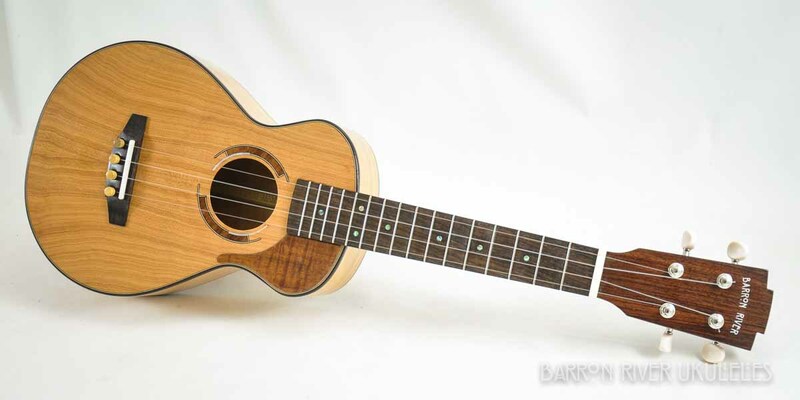 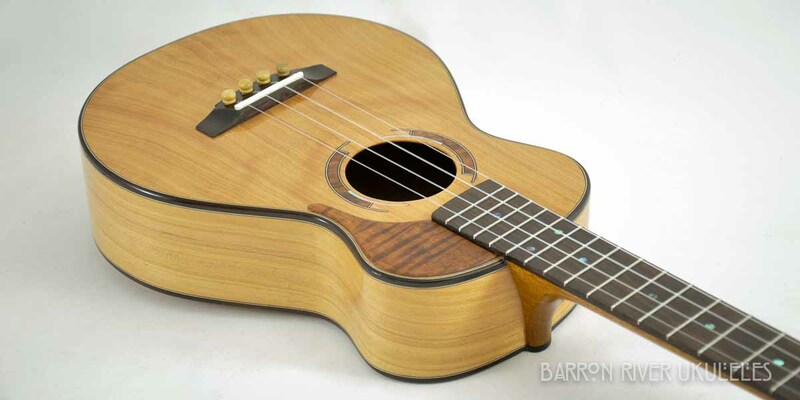 This uke has rich tone with incredible sustain.